Old Palm Golf Club future residents have so much to look forward to, starting with the selection of an approved luxury builder. Whether youâre looking for the perfect Florida estate for immediate occupancy or planning to build your dream home from the ground up, some of the finest and most respected independent luxury builders in South Florida offer an array of floor plans and homes in styles ranging from contemporary to West Indies in Old Palm neighborhoods of distinction. The Old Palm Golf Club team of sales professionals is delighted to introduce these outstanding builders to you. Courchene Development Corporationâs passion for excellence is a five-decade tradition and their reputation for delivering the highest quality is deserved. Courchene built homes have garnered awards from the Gold Coast Builders Association, National Association of Home Builders and the Southeast Building Conference. Their luxury and custom homes can be found in prestigious communities from Hillsboro Beach to Jupiter Island. This award-winning luxury homebuilder has several models in various stages of construction available today in the Golf Estates, Isle Estates and Grand Estates. Couture Lifestyle Homes strives to build extraordinary residences designed and built around the ownerâs individual lifestyle, with an eye towards environmentally friendly practices. In 2013, the luxury builder was named one of Americaâs Best Builders by Builder magazine, and was lauded for efficiency, reliability and a homeowner-focused design process. See the Casa Contempo model by Couture in the Custom Estates. Hasey Construction, Inc., another of Old Palm Golf Clubâs approved independent luxury builders, is known for their unique and appealing home designs. 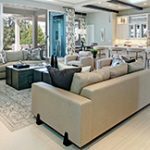 The family-operated team has been building in South Florida for over 30 years, and places high value on building well designed homes with exciting architecture. Hasey currently has beautiful finished or under construction models available in the Isle Estates, Grand Estates and Custom Estates. Another experienced and respected Old Palm independent builder, Mustapick Estate Homes has built more than 1,200 luxury homes in Palm Beach County and New York since the early 1970s, and has been in business for 57 years. Their VP of Sales has been with the family-owned builder since 1967. Expertise, professionalism and personalized customer service are Mustapick hallmarks. Currently, this trusted builder has two models available in the Golf Estates. To see any of these approved buildersâ beautiful models or remaining home sites currently available, call (888) 878-6277 and our helpful team of sales professionals will arrange a tour.